How can we amplify the leadership of southern climate scientists? I recently had the privilege of delivering a lecture at the IUB University and ICCCAD in Dhaka, Bangladesh. Much of the presentation was based on the recent book Bangladesh Confronts Climate Change by Roy, Hanlon and Hulme. The lecture, and discussions over dinner with GDI alumni afterwards, felt a lot like ‘bringing coals to Newcastle’ as the book lauds the leadership that Bangladeshi scientists have provided to knowledge production and in taking their evidence to policy with Ainun Nishat, Saleemul Huq and other scientists attending. The book is aimed at a ‘Northern’ audience to help challenge the image in Europe, North America and Japan of Bangladesh as a climate vulnerable country waiting for rich countries to come to its rescue with Green Funds and Northern science. 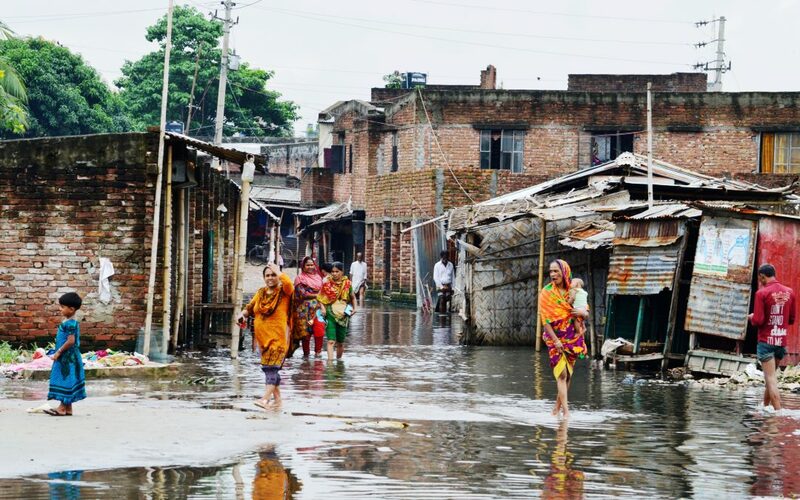 But, look at Bangladesh (and read the book): rich countries have barely made any contribution to the US$ 1 billion spent on climate change adaptation each year. The UK has provided only £61 million of the £150 million it promised back in 2008 (yes, almost 10 years ago) and the Green Climate Fund has not yet managed a disbursement. Similarly with science, Northern help would be welcome, but not if it ignores the excellence of the Bangladeshi scientific base, and the ‘indigenous knowledge’ of Bangladeshi citizens. What to do? The Climate & Development Knowledge Network and Nature and Climate Change look at this issue in detail. There are a whole number of attempts to ‘build bridges’ and make Southern colleagues work more available – UNEP’s PROVIA initiative, UN-WIDER/IPCC awards, the Newton Fund and the Welcome Fund and others. But, a vast cultural change will be required in Northern science if real progress is to be made. The old, and continuing model, where Southern scientists collect the data and Northern academics analyse and publish the papers will have to shift to a co-creation model that shares research design, data collection, analysis and writing across North-South partnerships. Read an interview with David Hulme on Bangladesh and climate change, featured in the Dhaka Tribune.